Along with some of their fellow northern reporters covering the Civil War, Junius Browne and Albert Richardson approached their work with self-conscious brio — calling themselves the “Bohemian Brigade,” Browne and Richardson and their colleagues agreed to “suffer all necessary privations without grumbling, laugh at danger, and try to extract as much fun as possible out of the grim business of war.” Of grimness and privation the two found more than their share. While reporting from Vicksburg, Miss., for Horace Greeley’s New York Tribune in 1863, Browne and Richardson were captured by Confederate soldiers. Although officially “paroled” as non-combatants, the two found themselves imprisoned in Virginia and North Carolina for nearly two years. After watching some 20 to 30 fellow prisoners die every day in Salisbury Prison, Browne and Richardson escaped and headed for the nearest Union line, just east of Knoxville, Tenn. 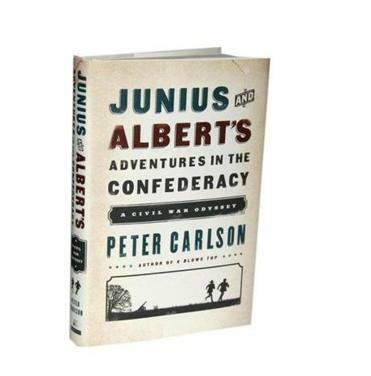 Both reporters left behind troves of correspondence and their own autobiographies; Peter Carlson weaves these and other research into a compelling, truly exciting tale. He finds humor in it, too, especially stories of grave journalistic crimes (entire battle scenes made up by reporters too drunk to witness the scene, for instance). The levity is more than balanced by the genuine menace the Yankees faced down South (in Atlanta, newspaper editorials urged they be lynched) and the deep humanity of those Union sympathizers, black and white, who helped them on their long, cold escape route. Plenty of nonfiction narratives claim to read like novels; this one actually does. Policy makers like to debate when life begins, but perhaps the more important questions are those posed by Jerome Kagan in his new book on development: What makes us human, and when do children become human? Are newborn babies born with what we would call “a self?” Best known for his work exploring the persistence of inborn temperamental differences, Kagan here expands his inquiry into other areas, including the problems inherent in trying to understand something as complex as human nature by looking through as narrow a lens as neuroscience, genetics, or psychological research. Published in 1941, James Agee and Walker Evans’s “Let Us Now Praise Famous Men” blended word and image in a way that felt entirely new to document a condition as old as humankind. The subjects, three poor white families in rural Alabama, led lives characterized by relentless poverty, ignorance, and hunger. Rendered iconic and even beautiful by Evans’s photographs, their wretchedness as detailed in Agee’s prose was intended as a rebuke to a nation in which not everyone was going to emerge from the Great Depression. Old-fashioned psychoanalysis — four or five days a week of talking, or just lying on the couch without speaking — doesn’t seem like it would match modern neuroscientific discoveries as a thrilling subject. Yet there’s something almost magnetically compelling about Stephen Grosz’s new book, in which he tells stories of patients past: their secrets, their dreams, their pain. “At times, I feel I’m a tour guide — part detective, part translator,” Grosz writes of his role as analyst. It’s an apt description, too, for the way he introduces new insights to the reader. Some readers will recognize familiar issues among Grosz’s patients — they grapple with problems of intimacy, feeling unloved, resenting their family members, fearing death or, arguably worse, “the catastrophe of indifference.” Grosz tells their stories in spare, gentle prose — his compassion for his patients is palpable, and constant, on these pages — the result is a sense of shared humanity, understanding and even hope.